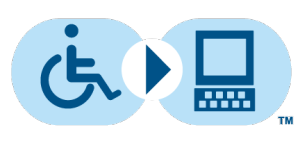 Physical, visual, and learning disabilities can make it difficult for individuals to access standard printed materials. This module provides information on ways to adapt books. Many of the high-tech communication devices have page sets already installed to make reading accessible. Don’t forget to visit the Picture Symbol Module for additional resources.